Mr. Rudolf Hadorn, lic. oec. HSG has been the Chief Executive Officer at Gurit Holding AG since November 1, 2007. Mr. Hadorn has been an Interim of General Manager for Gurit Composite Components at Gurit Holding AG since January 19, 2017. Mr. Hadorn served as a General Manager of Gurit Composite Systems and Engineering at Gurit Holding AG since February 1, 2013 until January 19, 2017. He served as the Chief Executive Officer, Chief Financial Officer and Head of Security Solutions at Ascom Holding AG from June 2004 to February 2007 and served as a Director since November 1, 2002. 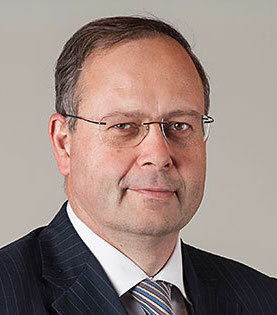 He served as the Head of Financial Accounting and Analysis and Director at Auditing from 1991 to 1996 at GM Hungary, Austria and GM/Opel AG Germany. Mr. Hadorn worked for General Motors Europe, Zurich's Financial and operational analysis in 1989. Mr. Hadorn served as a General Manager of Opel Hungary and South Eastern Europe, Director of Finance and Chief Executive Officer from 1999. He served as the General Manager, Director of Finance and lastly Chief Executive Officer of Opel Austria from 1999. He was a Management Spokesman, Chief Financial Officer and Chief Executive Officer of Krone Group since 2000. He served as Non Executive Director of Looser Holding AG since 2009 until December 15, 2016. He was an Advisory Board Member at Cross Equity Partners AG. Mr. Hadorn received a Degree in Business Administration from the University of St. Gallen Switzerland in 1988.